Multiple conflicts between Egypt’s military-backed government and the country’s foremost soccer clubs that pit militant soccer fans against both Egypt’s autocratic leaders and club managers could force world soccer governing body FIFA to suspend Egypt. The disputes reflect the broader crisis that has shipwrecked Egypt’s transition from autocracy to a politically more liberal society following mass anti-government demonstrations in 2011 that forced President Hosni Mubarak to resign after 30 years in office. Militant soccer fans played a key role in the toppling of Mr. Mubarak and resistance to subsequent military rule. In Egypt’s latest twists and turns, sports minister and former national soccer team player Taher Abou Zeid has spotlighted the Middle East and North Africa’s incestuous relationship between sports and politics that FIFA largely chooses to ignore. FIFA has a history of enforcing its nominal ban on political interference in football only when that intrusion becomes so flagrant that the soccer body is left with no choice but to act. Mr. Abou Zeid twice in the last six months sought to replace the management of Cairo arch rivals Al Ahli SC and Al Zamalek SC, Africa’s two top performing clubs. He succeeded in the case of Zamalek that has been managed by an interim board after Mr. Abou Zeid sacked its elected chairman, Mahmoud Abbas, last October. Fans of both clubs have long denounced management as corrupt and demanded that they resign. Controversial Al Ahli chairman Hassan Hamdi proved a tougher nut to crack. Mr. Hamdi was being investigated on corruption charges and had his assets frozen under President Mohammed Morsi, Egypt’s first democratically elected president who was deposed by the military last July. Mr. Abou Zeid initially dismissed Mr. Hamdi and his board on January 18 after the Al Ahli management refused to participate in a one-year, $10 million premier league broadcast deal with state-owned broadcaster, Egypt Radio and Television Union (ERTU). The deal was designed to infuse cash into financially troubled clubs that have suffered as a result of professional leagues having been suspended for much of the last three years and fans being banned from matches since they resumed in late 2013. Mr. Hamdi felt Al Ahli, Egypt’s most popular club with an estimated 50 million supporters, was better served by signing a separate agreement worth $5.8 million with Lebanon’s Future Media Company. In contrast to Zamalek’s Mr. Abbas, Mr. Hamdi successfully persuaded Egyptian Prime Minister Hazem Al-Beblawi to override Mr. Abou Zaid’s decision. Al Ahli’s board elections should have been held last year but were postponed because of the political crisis engulfing the country. The ERTU deal was also designed as an affront to state-owned Qatari broadcaster Al Jazeera, five of whose reporters and producers have been detained on suspicion of spreading false information harmful to state security and membership in a terrorist organization, the Muslim Brotherhood, which has been banned and criminalized since Mr. Morsi’s overthrow. The ERTU has accused Al Jazeera of illegally using its equipment during the coverage of protests against Mr. Morsi’s overthrow on Cairo’s Rabaa al-Adawiya Square. Hundreds were killed when security forces last August brutally cleared the square where pro-Morsi protesters were camped out. ERTU ignored Al Jazeera’s rights to African Cup matches by broadcasting in March a match between Egypt and Ghana. Two weeks later, Mr. Abou Zeid ordered the EFA not sell the rights to Egypt’s premier league to Al Jazeera three months after the network had acquired the rights for a period of three years. Relations between Qatar and Egypt have deteriorated because of the Gulf state’s support for the Brotherhood and its hosting of prominent figures associated with the group, including popular preacher Sheikh Yusuf Qaradawi, who regularly denounces Egyptian strongman Field Marshal Abdul Fattah al-Sisi and calls for the overthrow of the military-backed government. In a January 22 letter to the Egyptian Football Association (EFA), FIFA secretary general Jerome Valcke gave the soccer body until February 5 to report on the state of affairs. "Should the current situation persist, we would have no choice than to refer the case to the appropriate FIFA bodies for consideration and possible decision, including sanctions which might lead to a suspension of the EFA," Mr. Valcke warned. Mr. Abou Zeid’s attempts to remove the management of Al Ahli and Zamalek has done little to endear him to militant fans who constitute one of the largest organized civic groups in Egypt. The fans have vowed to disrupt the minister’s bans on spectators. Hundreds militants fans demonstrated in central Cairo in the walk-up to the January 25 anniversary of the popular revolt against Mr. Mubarak denouncing both the military-backed government as well as Mr. Morsi and his Muslim Brotherhood. Days earlier, Zamalek fans stormed the stands during their club’s match against Haras El-Hodoud in protest against the spectator ban. "We removed Mubarak, but not the system that is still in place. We will not stop until we achieve the goals of the January 25 revolution: bread, freedom and social justice,” one of the militants said. Despite perceptions that a majority of Egyptians support the overthrow of Mr. Morsi and the return of a military-backed strong government, the militant’s comments against the backdrop of the results of a referendum on a new constitution earlier this month reflect a sentiment that is boiling among youth who constitute a majority of the Egyptian population. As a result, the referendum’s outcome may not truly reflect the public mood. 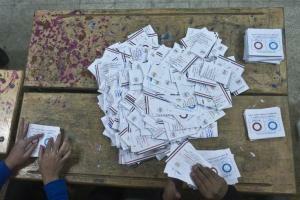 Most importantly, few youth were among the 38.6 percent of Egyptians who cast their vote. It is unclear what percentage of the 61.4 percent that abstained from voting did so as a protest against the military’s revival of the autocratic state and what percentage stayed home for other reasons. Aziz Yildirim: Culprit, Pawn or Victim? When Aziz Yildirim, the head of Turkey’s foremost soccer club, Fenerbahce SK, denounced this week an appeals court decision upholding his conviction in a massive match fixing scandal, he drew a parallel with a construction-related corruption scandal that is rocking the government of Prime Minister Recep Tayyip Erdogan and pitting the country’s foremost Islamist factions against one another. Mr. Yildirim’s comparison stands on strong ground despite the fact that most experts on Turkish soccer as well as fans, including those of Fenerbahce, concede that Turkish football is thoroughly corrupt and that match fixing is a fact of life. Mr. Yildirim was sentenced to six years and three months in prison and is barred from serving as a club official. He has one last chance to appeal which would allow him to remain in office until he has exhausted his options. In a statement following the court decision, Mr. Yildirim suggested the verdict was part of a power struggle between Mr. Erdogan and Fethullalh Gulen, the prime minister’s Islamist ally-turned-nemesis. Mr. Erdogan has accused Mr. Gulen, a self-exile Islamist preacher who operates a global media, education and business empires estimated to be worth $20 billion, of establishing a state within the state. Turkish military under civilian control. The two men’s political and commercial power base is inextricably intertwined but their interests have over time diverged as Mr. Gulen targeted urban conservatives while Mr. Erdogan strengthened his hold on the rural vote. In a prelude to the construction scandal, Mr. Erdogan attempted last fall to curb Mr. Gulen’s influence by announcing that he would shut down tutoring schools operated by the preacher’s movement. The high stakes power struggle between the two men, already evident in the match fixing scandal, moved into high gear in December when an investigation by the police and judiciary, believed to be populated by supporters of Mr. Gulen, into a construction-related corruption scandal forced four of the prime minister’s ministers to resign and a reshuffle of Mr. Erdogan’s cabinet. Mr. Gulen has denied any association with the investigation. Many in Turkey nonetheless give credit to the corruption allegations but believe that the timing of the arrests raises questions about the independence of the police and the judiciary. Those qualms are certain to be discussed during Mr. Erdogan’s visit this week to Brussels and the European Union designed to give a new boost to Turkey’s EU membership bid. Mr. Erdogan has charged that the investigation was an attempt to undermine him in advance of crucial municipal elections in March that are widely expected to be interpreted as a referendum on his increasingly troubled rule. At stake in the battle with Mr. Gulen and the elections that are to be followed by Turkey’s first ever direct election of its president is not only Mr. Erdogan’s political future but also history’s initial judgement of moderate political Islam’s foremost foray into government. Mr. Erdogan, whose status as the successful embodiment of moderate political Islam has suffered a series of setbacks that started with last June’s mass anti-government Gezi Park protests, risks seeing his reputation irreparably damaged. Much like in the match fixing scandal, Mr. Erdogan has sought to limit the political fallout of the construction scandal by cleansing institutions of his opponents and seeking to control the legal process. Up to 2,000 police officers have been either relieved of their duties or moved to other jobs in recent weeks as have prosecutors who ordered the detention of three sons of ministers as well as the head of state-owned Halkbank. Among the prosecutors shoved aside is Zekeriya Oz, the man who initiated the investigation into the match fixing scandal. "I, Aziz Yildirim, do not respect this illegal judgement, I do not recognise this political decision," Mr. Yildirim said. His statement was echoed by Mr. Erdogan who described the appeals court decision as a political manoeuvre in advance of the municipal elections. Mr. Yildirim was first sentenced to jail in 2012 and fined some 500,000 euros for match-fixing during the 2010-2011 season and of forming a criminal gang, but was freed pending his appeal. Mr. Erdogan, a former soccer player and Fenerbahce fan, has fought hard in the past 2.5 years to spare Mr. Yildirim the worst. He viewed the corruption charges against the soccer boss as an effort by Mr. Gulen, a man some prominent players consult before deciding to switch clubs, to muscle his way into what the prime minister considered his political domain. Mr. Gulen was believed to have wanted Mr. Yildirim removed so that someone closer to his movement could take control of the club. In standing up for Mr. Yildirim, Mr. Erdogan hoped to garner support among millions of fans of Fenerbahce, the crown political jewel in Turkish soccer. Many of those fans however joined supporters of Istanbul arch rivals Besiktas JK and Galatasary SK in manning the front lines last June in mass anti-government demonstrations. Mr. Erdogan’s government has since sought to criminalize militant fan groups. If the degree of Mr. Erdogan’s success in seeking to shield Mr. Yildirim is any indication, the jury remains out on whether he can insulate himself from personal involvement in the construction corruption scandal that involves the awarding of large public works to groups close to the government, amendments to zoning laws that favoured those groups and patronage politics that generated funding for the prime minister’s political machinery. Mr. Yildirim was convicted despite Mr. Erdogan’s manipulations that initially lead to the soccer club chairman’s acquittal by the Turkish Football Federation (TFF). That however did not stop supporters of Mr. Gulen in the judiciary from pursuing the matter. It also did not prevent European soccer governing body UEAFA from banning Fenerbahce from European tournaments for two years on charges of match fixing. Nevertheless, Mr. Erdogan’s intervention was in many ways a dry run for his effort to manage the construction scandal, the most serious crisis in his decade in office which catapulted him into becoming the third most important leader in modern Turkish history after Kemal Mustafa Ataturk, the visionary who carved Turkey out of the ruins of the Ottoman empire, and Turgut Ozal, the conservative politician who liberalized its economy and was the only politician prior to Mr. Erdogan to successfully stand up to the military. As the match fixing scandal erupted and Mr. Yildirim and 92 others were indicted on match fixing-related charges, Mr. Erdogan and Mr. Gulen adopted diametrically opposed positions. Mr. Gulen’s position constituted an early indication that he was ready to challenge Mr. Erdogan’s grip on power. While Mr. Gulen and his supporters pushed for harsh sentences, Mr. Erdogan forced a law through parliament that limited the penalties for both officials and clubs. The law prevented Mr. Yildirim from being sentenced to tens of years in prison. The TFF meanwhile rejected a proposal backed by the prime minister that would have shielded clubs guilty of match fixing from being relegated. In September last year, a Singaporean court ordered journalist and blogger James M. Dorsey to reveal his sources for a report he did on an audit of the connection between Mohammed bin Hammam and World Sports Group (WSG). Dorsey appealed the order to the Singaporean Court of Appeal, who had it overturned. The Singapore Court of Appeal has issued a judgment outlining the grounds of the decision to overturn the disclosure of sources order issued on the Singapore-based journalist and blogger James M. Dorsey by a Singapore court. WSG initiated proceedings after Dorsey disclosed details of a PricewaterhouseCoopers report revealing payments to bin Hammam, quoted sources close to the AFC questioning the WSG contract and revealed that Malaysian police had opened an investigation into the theft of documents related to one of the payments. WSG asked the Singapore High Court to order Dorsey to reveal his sources. In the court hearing, which took place on 28 September 2012, the court ruled in favour of WSG, and Dorsey was ordered to reveal his sources for the report. The revelation of the sources would allow WSG to start legal action on charges of breach of confidentiality and defamation against Dorsey and his sources. The court ordered Dorsey to take part in pre-action interrogatories sought by WSG, but according to the Court of Appeal judgment released last week, this claim could not be justified. "Certainly, corrupt practices in international football organisations ought not to be permitted to be spuriously choked by arid claims of confidentiality," the judgment says. "It would be grotesque for a party implicated in corrupt activities to assert that the courts ought to defer to contractual arrangements importing confidence if those very arrangements are infected by sordid criminality. To adapt a well-known dictum, sunlight is the best disinfectant for corruption." The 51-page judgment further notes that the decision to grant these pre-action interrogatories was wrongful, given that the information about the report in question had been reported on by other media without WSG attempting litigation. "We welcome this ground breaking and hugely positive ruling," said IFJ President Jim Boumelha. "It is a major victory in the battle against those who wish to suppress and undermine press freedom and freedom of expression in Singapore," said IFJ President Jim Boumelha in a statement on the IFJ website. Cairo (AFP) - The approval of Egypt's constitution bolsters the powerful army chief but a large number of youths who helped topple two presidents within three years shunned the vote on the new charter. Sisi led the overthrow of Islamist president Mohamed Morsi in July following massive protests against his one-year rule, which came after an uprising in 2011 toppled his predecessor Hosni Mubarak.Egyptian voters have approved the Tuesday-Wednesday referendum by 98.1 percent, officials announced Saturday, and the results are seen as nod to General Abdel Fattah al-Sisi to run for president. Youth movements at the forefront of protests that ended the rules of Morsi and Mubarak hardly objected when the military-installed authorities launched a deadly crackdown on Morsi's supporters. Nor did they object when his Muslim Brotherhood movement was banned and designated a "terrorist" organisation. But they voiced their outrage when the military-backed authorities passed a law in November banning unauthorised demonstrations. And this appears to have been clearly reflected during the voting. Sisi had urged the youths to participate in the referendum, saying they formed "more than 50 percent" of Egypt's 85-million strong population. But AFP reporters who toured polling stations said youths did not participate in the voting in strength and analysts confirmed many young people clamouring for change shunned the polls. Political analyst Hassan Nafea said turnout was "disappointing". "The youth refused to participate in the referendum because they consider what is happening as a counter-revolution to the January revolution (against Hosni Mubarak)," Nafea said. Electoral commission head Nabil Salib announced the results on Saturday and said turnout "reached 38.6 percent" of 53 million registered voters, with only 1.9 percent voting "no." Salib also acknowledged a certain percentage of youths had not voted as the referendum coincided with exams, otherwise "turnout would have been higher". But Morsi's Muslim Brotherhood said in a statement young voters "were not busy with exams, but busy with demonstrations against the coup d'etat and the invalid referendum". The new charter replaces an Islamist-inspired one adopted in a December 2012 referendum under Morsi with about two-thirds of the vote and a 33 percent turnout. Nafea said the result showed, however, support for Sisi to run for president because "a large segment of Egyptians see the Brotherhood as a threat to the society". 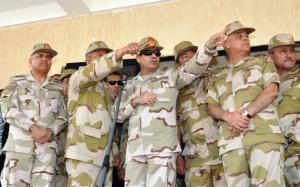 Sisi has said he would run for the presidency if there was a popular demand. The general is wildly popular with the millions who took to the streets against Morsi, but the Islamist's followers revile him for what they say was a "coup" against Egypt's first freely elected president. The Brotherhood, reeling from a crackdown by the military-installed authorities that has seen thousands of Islamists arrested and more than 1,000 people killed, dismissed the referendum as a "farce". Many youths agreed, but for different reasons. "For us it is ironic that the constitution talks of freedom of speech and yet those who said no to the constitution have been jailed," said activist Mohamed Ghorab of the No to Military Trials of Civilians group. "For many this is a reminder of the previous Mubarak era regime," he said. 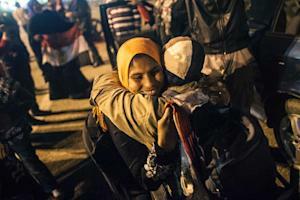 Prominent youth leaders from the 2011 uprising against Mubarak have been jailed in recent weeks. They include Ahmed Maher, Ahmed Douma and Mohamed Adel, convicted in December for organising an unlicensed protest -- days after a law was passed in November banning all but police-sanctioned demonstrations. 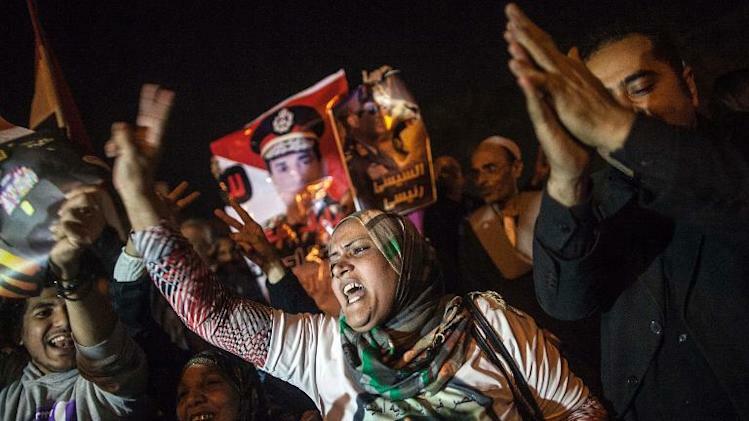 These convictions have been denounced by rights groups and experts who says they threaten the gains achieved since the toppling of Mubarak and signal a return of a police state. Youths have also been angered by a flurry of reports in the local media that gave unflattering accounts of their role in the 2011 uprising. Such articles, said the analyst Nafea, are seen by the youths as "an attempt to steal the June 30 revolution (against Morsi) for the benefit" of Mubarak cronies. 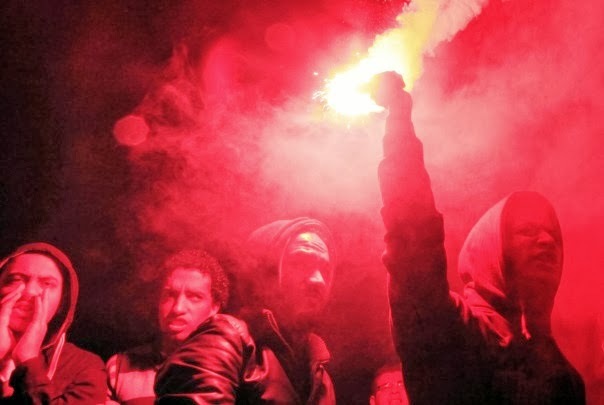 The non-Islamist youngsters "who participated in the revolt against Mubarak did not do that for a return to autocracy," said James Dorsey of Singapore's S. Rajaratnam School of International Studies. "They are asking questions, and the question is whether the new regime will believe in liberal politics and there is no indication that it is going to do so," he added. On Sunday, in an apparent attempt to appease young Egyptians, interim president Adly Mansour said "the youths... were the engine of two popular revolutions". "But your role is not over yet... continue on the path and get involved in the political life... you know that freedoms are now guaranteed," he said live on state television. If Israeli soccer pitches are any indication, Israeli attitudes towards Palestinians do not bode well for US Secretary of State John Kerry’s Middle East peace efforts. The story echoing from the pitches is one of racism, racial superiority, bigotry, double standards and little sincere effort to address a key issue that undermines Israel’ s projection of itself as a democratic state founded on the ashes of discrimination , prejudice and genocide. Miri Regev, a parliament deputy for Prime Minister Benyamin Netanyahu’s governing party and a former brigadier general, illustrated the problem recently on her Facebook page. Ms. Regev called for the expulsion from the premier league of Bnei Sakhnin, a top Israeli club from the Israeli Palestinian town of Sakhnin, because its fans had flown Palestinian flags during a recent match. “The situation where a [soccer] club receives support from the State of Israel as part of its sports-sponsorship policy, while the club fans are waving the flags of Palestine, is unacceptable,” Ms. Regev said, vowing to introduce legislation against the team in the Knesset, the Israeli parliament. Israeli journalist Shlomi Eldar quoted a spectator as saying that fans in one terrace of the town’s Doha Stadium had waved two small flags. The language and imagery reminiscent of Nazi propaganda was a protest against the club’s hiring of two Muslim players from Chechnya. In a country, in which Israeli Palestinians are among its top players, Beitar is the only team to have never hired a Palestinian. Bnei Sakhnin, the first team from an Israeli Palestinian town to win the State Cup, has had Israeli Palestinians and Israeli Jews playing side by side from the day it was founded. Soccer constitutes for Palestinians what football scholar Tamer Sorek calls an integrative enclave, a space where non-Jewish Israelis are fully accepted in Israeli society and able to flourish professionally without inhibition. Mr. Sorek tells the story of Israeli Palestinian club Maccabi Kafr-Kana that in the mid-1990s visited Jordan to play against Al Wehdat, a symbol of Palestinian nationalism named after the Palestinian refugee camp in the Jordanian capital where it was founded. The match gained symbolic importance because it pitted two teams projecting a shared identity against one another that have long been divided by more than physical borders. Residents of Al Wehdat included families that had fled Kafr-Kana when the Jewish state was established. Minutes before the start of the match, Al-Wehdat managers pulled Kafr-Kana’s manager and sponsor, Faysal Khatib, aside to request that he not field his three Jewish players or if he did to ensure that they would not speak Hebrew. Mr. Khatib refused saying his team consisted of players, not Palestinians and Jews, and that all his players spoke Hebrew, not Arabic. It took Mr. Khatib several days to get his way. When the match was finally played, Kafr-Kana won 3:2. Its three goals were scored by its non-Arabic speaking players. It’s a degree of standing up for principle that has yet to be matched by the Israeli Football Association (IFA), the only Middle Eastern governing soccer body to have an anti-racism unit and policy, or Beitar’s management, whose efforts to curb the racism of its fans have been limited. The IFA has repeatedly disciplined Beitar for the racism of its fans, but those measures have had little effect. To be fair, Israel is the not the only place where Israeli and Palestinian identity politics spill onto the pitch. Dutch club Vitesse sparked criticism when it went ahead earlier this month with a visit to the United Arab Emirates despite a last minute decision by the UAE to ban the club’s Israeli defender Dan Mori from entry. Similarly, Jewish groups were outraged when in Chile the Palestine Football Club, founded in 1920 by Palestinian immigrants, included all of Israel in a map of Palestine on its shirts. German club FSV Frankfurt late last year cancelled a sponsorship agreement with state-owned Saudi Arabian Airlines after it discovered that the carrier refuses Israeli passengers. None of these incidents alter the image of Israel painted on pitches in a country where Palestinians with Israeli citizenship constitute an estimated 20 percent of the population. They like the recent Israeli government announcement that it was licensing new homes on the occupied West Bank, inspire little confidence that Israel is willing to match Secretary Kerry’s commitment to Middle East Peace. In fact, viewed from the pitch, Israeli reality may have been more accurately depicted by Defence Minister Moshe Yaalon who was recently quoted as saying that Mr. Kerry “who…is acting out of an incomprehensible obsession and a messianic feeling - cannot teach me a single thing about the conflict with the Palestinians. The only thing that can save us is if Kerry wins the Nobel prize and leaves us alone." Mr. Yaalon was forced to apologize for his comments. The International Federation of Journalists (IFJ) has today welcomed the landmark decision of a Singapore Court of Appeal to overturn an order that a journalist should disclose his sources for an article he had written on his blog. James Dorsey, a Singapore-based journalist and author of the blog ‘The Turbulent World of Middle East Soccer', had appealed against an order to disclose his sources for an article about the relationship between World Sports Group (WSG) and Mohammed Bin Hammam, a former Fifa Vice-President and one-time President of the Asian Football Confederation (AFC), who is now banned from the game. In the first ever ruling of its kind in Singapore's history, the Court of Appeal held that the country's lower court was wrong to issue the order and quashed it, while also ordering that WSG should pay Mr Dorsey's costs for the appeal and any previous proceedings, his lawyers said in a statement. The IFJ, which provided financial support and contributed legal advice on international norms about protection of sources to Mr.Dorsey throughout the process, has stated that the ruling represents a major step forward for media freedom in the country. "We welcome this ground breaking and hugely positive ruling," said IFJ President Jim Boumelha. "It is a major victory in the battle against those who wish to suppress and undermine press freedom and freedom of expression in Singapore." According to documents filed with the court, Dorsey had published information contained in a report by accountants PricewaterhouseCoopers Advisory on activities of the AFC while Mr Bin Hammam was its president, and on a commercial rights agreement between it and WSG. WSG argued that Dorsey had had access to the PWC report, which was a breach of confidence, and said it wished to sue the person responsible for the leak, and was also considering suing Dorsey for defamation over a posting which appeared on his blog in August 2012. Dorsey's lawyers said that the sports management company sought an order for Dorsey to make the disclosures under Singapore's pre-action interrogatories regime, which allows courts to order pre-action disclosure or discovery of information. The Lower court had ordered that Dorsey respond to the order and disclose his source. However, the Court of Appeal set aside the order and found that the lower court had erred in granting the interlocutory interrogatories, pointing out that the information from the PWC report had been the subject of considerable coverage in national and international media, none of which was the subject of any attempted litigation by WSG. (c) 2014. MediaCorp Press Ltd.
SINGAPORE — The Court of Appeal yesterday allowed a veteran journalist to withhold the source or sources from which he had obtained a confidential audit report on the Asian Football Confederation (AFC), overturning an earlier court order for him to reveal who he got the document from. The highest court in the land also ruled that any pre-action interrogatory procedure should be allowed only after a court had taken a multi-factorial view and questioned whether it is just for the applicant to secure the information sought even before any proceedings are commenced. Judge of Appeal V K Rajah, who delivered the judgment, said the application by the World Sports Group (WSG) was “premature”, noting that exposing corruption would override concerns over confidentiality. Mr Dorsey, who is a Senior Fellow at the Nanyang Technological University’s S Rajaratnam School of International Studies, had in July and August 2012 used portions of the audit report on his blog, The Turbulent World ofMiddle East Soccer. He wrote that the report detailed payments made to former AFC President Mohamed Bin Hammam by one of WSG’s shareholders before the two firms signed a US$1-billion (S$1.27-billion) agreement. Singapore-based WSG has alleged that the audit report prepared by PricewaterhouseCoopers Advisory Service under instructions from the AFC — to review transactions, accounting practices and contracts negotiated during Mr Bin Hammam’s tenure — contains remarks defamatory of the firm, as the auditor was provided with inaccurate or incomplete information. WSG then applied for the sources to be revealed so that it could sue the parties that leaked the audit report for breach of confidentiality. In a 51-page written judgment, the Court of Appeal said that WSG had failed to make a case for compelling Mr Dorsey to reveal his source or sources. The firm’s claim and whom it was making the claims against, were unclear, it added. The Court of Appeal also noted that the information from the audit report had already been disseminated to other media organisations by unknown sources, and there was no evidence that Mr Dorsey, or the sources, were motivated by malice or ill will against WSG. The Court of Appeal — which comprised Justice Rajah, Chief Justice Sundaresh Menon and Judge of Appeal Chao Hick Tin — also laid down guidelines on the pre-action interrogatory procedure, the process which WSG used to force Mr Dorsey to reveal his sources. Justice Rajah pointed out that the procedure saves cost and time but there are problems with it: An applicant may engage in “fishing” for evidence to make out a claim which is wholly speculative, and there is a risk that an order for pre-action disclosure can increase the cost of resolving disputes. Non-parties also have reasonable expectations in maintaining confidentiality and privacy. The court also noted that pre-action interrogatories can only be ordered in relation to proceedings in a Singapore court, but there was no evidence that Mr Dorsey obtained the information here. While it noted that Mr Dorsey was not protected as a witness under the Prevention of Corruption Act, the Court of Appeal said corrupt practices in international football organisations “ought not to be permitted to be spuriously cloaked by arid claims of confidentiality”. “It would be grotesque for a party implicated in corrupt activities to assert that the courts ought to defer to contractual arrangements importing confidence if those very arrangements are infected by sordid criminality,” it added. The Court of Appeal in Singapore has overturned an order that a journalist should disclose the source of material he had written about the relationship between World Sports Group (WSG) and former Fifa vice-president Mohammed Bin Hammam. Writer and scholar James Dorsey, a senior fellow at the Singapore's S Rajaratnam School of International Studies at Nanyang Technological University, and author of the blog The Turbulent World of Middle East Soccer, had appealed against an order to disclose his sources for a report about the relationship between World Sports Group (WSG) and Mohammed Bin Hammam, a former Fifa vice-president and one-time president of the Asian Football Confederation (AFC) who is now banned from the game. A Singapore court had ordered him to respond to pre-action interrogatories which WSG had wanted completed. The sports management group had argued that Mr Dorsey should provide the information because he had obtained confidential material from a source or sources, and had defamed the company in his blog. But it had failed to launch any direct claims against Mr Dorsey, either for breach of confidence in receiving the material, or for defamation. The row centred on publication of details of a report by accountants PricewaterhouseCoopers Advisory on activities by the AFC while Mr Bin Hammam was its president, and on a commercial rights agreement between it and WSG. WSG sought an order for Mr Dorsey to make the disclosures under Singapore's pre-action interrogatories regime, which allows courts to order pre-action disclosure or discovery of information, or issue the equivalent of Norwich Pharmacal orders so that would-be litigants can obtain relevant information from third parties. The firm argued that Mr Dorsey had had access to the PWC report, and that that access was in breach of confidence, and said it wished to sue the person responsible for the leak and was considering suing him for defamation over a posting which appeared on his blog in August 2012. The Singapore Court of Appeal held that the lower courts were wrong to issue the interlocutory interrogatories, and quashed them. It also ordered that WSG should pay Mr Dorsey's costs for the appeal and the previous proceedings on the indemnity basis. It pointed out that the PWC report was the subject of considerable coverage in national and international media - none of which was the subject of any attempted litigation by WSG. The court considered the interrogatories regime and issued guidance on the manner in which it should operate. It said that from the start of the application WSG had asserted that an unknown person had disseminated the PWC report to various media organisations. "In our opinion the level of exposure that the PWC report had been given in the international press and the fact that there was no credible evidence that WSG had been singled out for mention by the international media or Dorsey casts some doubt over the 'real interest' that WSG has in needing to identify these 'sources' so as to commence legal proceedings against such sources," it said. "Further, there is no evidence that either Dorsey or the source(s) were motivated by malice or ill feeling against WSG. "These factors must be taken into account in weighing the scales of competing interests in assessing whether the pre-action interrogatories should be ordered. "If Dorsey was not the only person who was privy to the PWC report, it is curious why WSG should be focussing on Dorsey alone, and in particular, Dorsey's sources when in fact there were other extensive communications with the international media." It "seems odd", said the court, that WSG should claim that its reputation was severely damaged but had not acted immediately to clear its name by suing Mr Dorsey directly even while trying to find the sources of the leak. The material in the PWC report had now been so widely publicised that it could no longer be considered confidential, the court said. WSG, it said, had to explain why, although the PWC report was leaked to man y media outlets, the leak to Mr Dorsey alone remained its only legal action anywhere. The court asked: "What about all the other media outlets that covered this scandal? "WSG has simply failed to address this curious state of affairs. Further, there is absolutely no indication that WSG has taken any other steps to find out the identity of the source(s). This invites further vexing questions as to WSG's reasons for seeking Dorsey's sources even before initiating proceedings to clear its name." The question of whether there was any genuine connection to Singapore and its courts was also unclear, the Court of Appeal said, adding that "considering WSG's vague allegations of Dorsey's wrongdoing, the sheer uncertainty of where this alleged wrongdoing took place is a strong factor which weighs against the ordering of pre-action interrogatories in aid of proceedings beyond Singapore". It was not enough for WSG to hypothesise that "the information was as likely to have been received in Singapore was anywhere else" because, on the established facts, "the converse was just as likely". The Court of Appeal said that if the assertions in the PWC report and Mr Dorsey's blog post implicating WSG were true, "it may be difficult for WSG to insist that its interests in confidentiality would override the wider interest in exposing corruption everywhere." It went on: "We think it would be fanciful to argue against the proposition that the exposure of flagrant corruption (as in the present case, where allegations of such a nature were made) is in the public interest anywhere. Serious wrongdoing of such a nature should be laid bare in the public interest." The court, which stressed that it was making no findings of fact about the truth or otherwise of any of the allegations raised in the case, as that was not an issue for its determination, added that when it came to corruption, similar public interest considerations applied to officials in international organisations such as sports bodies as they did to public officials. "Certainly, corrupt practices in international football organisations ought not to be permitted to be spuriously choked by arid claims of confidentiality," it said. N Sreenivasan SC and Sujatha Selvakumar (Straits Law Practice LLC) for the appellant; Deborah Barker SC and Ushan Premaratne (Khattar Wong LLP) for the respondent.